Guitarist Dustin “Dusty” Schaefer has left the Knoxville-based roots band The Black Lillies, and will be pursuing his solo career henceforth. But not before he will take the lead guitar spot recently vacated in Austin-based alt-country band Reckless Kelly for a stint starting in mid April. In February, Reckless Kelly guitarist David Abeyta announced that he was leaving the band where he’d been a fixture for nearly 20 years to spend more time closer to home and focus on studio work. A fan favorite, the “Mexicutioner” was seminal in helping to forge the now signature sound of Reckless Kelly. This led to a lot of speculation on who might fill in for David Abeyta, but now we know that staring in mid April, it will be Dustin Schaefer, who played his final show with The Black Lillies on Sunday, March 17th at The Blue Door in Oklahoma City. Some may know Dustin Schaefer from his solo work first, or from other projects in the Texas music scene. 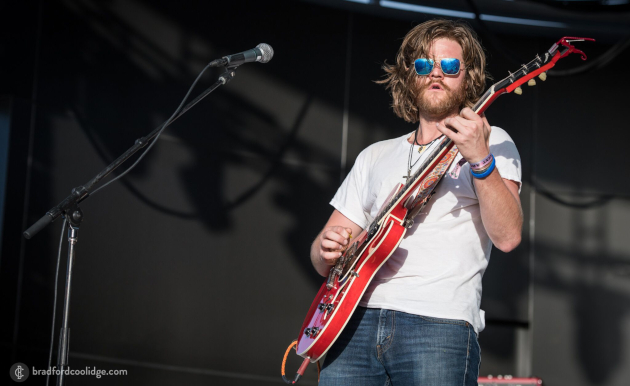 Originally from Victoria, TX, Dustin joined Micky and the Motorcars in 2011, and has played on studio recordings for a host of other artists, including Reckless Kelly and Parker McCollum. Schaefer released his first solo album Playtime in 2016, and his second album Disconnected in 2017. He hopes to have his third album finished by later in 2019.
Who has been filling in on guitar for Reckless Kelly in the interim? At recent shows it has been another solo performer, Jeff Crosby, who has been a close friend and tour partner of Reckless Kelly for years. Crosby has been playing lead for the last two weeks in the band. still flippin a squinty eyed fully extended bird towards the direction of the ‘country’ HOF for excluding Jerry Lee.,.. Musical chairs in the lead guitarist slot. Sorry to see Abeyta leave the band but there are priorities in Life and Living. He had a great run with the band and was instrumental (pun intended) in creating their sonic texture and tunes. Schaefer will bring a slightly different style and level of energy to the RK sound, but he will certainly suffice as a temp band member.